Today we have the lovely poetess Ms. Tikuli who has recently come out with her poetry collected titled Collection of Chaos. Here she is sharing her views on the poets and poems as I had asked for I would like to hear her views as a poet in our country and the challenges in getting published. What are the reasons according to her as we have had many famous poets in the past then why the sudden change.And what does she foresee as a future for all aspiring poets. I am still at the first step of learning so not really the right person to ask about Indian poetry scene but I can tell you that the future looks promising. There is more exposure, more opportunities, and more poetry available to read. Reading is very essential if you wish to write. Not many new poets read. It is an important aspect of learning, of expanding your inner horizons. 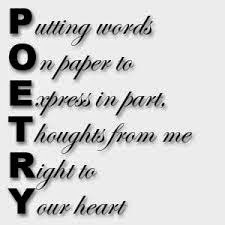 Anyone can publish a book of poems but to really get the recognition one needs to excel and for that reading writing, polishing, editing, rewriting, reading more and different poets is needed. Learning from critique, having a student’s heart is what makes a good poet/writer. 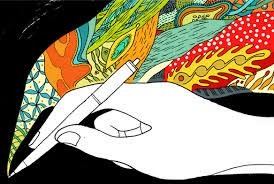 Sending works to online poetry magazines and literary journals is also one of the ways emerging poets’ showcase their work and I think it is much better to be published on these reputed sites first than to go for publishing a book. I look at poetry as a tool of change and not just a pastime but that’s my personal opinion. English writing is blooming in India, More quality online and print journals - vernacular, English and bilingual have emerged and that is a great step forward. I don’t think there has been a major change in a way that earlier there were more famous poets and now there is less. There were always a few famous names in Indian poets writing in English i.e. Keki Daruwala, Kamla Das, Jayant Mahapatra, Agha Shahid Ali, Meena Alexander, Shashi Deshpande, Arun Kolatkar who wrote both in marathi and English. There are many poets who write in vernacular. Mangesh Dabral, Nabanita Kanungo (Shillong), Mona Zote (Mizoram), Kalpana Singh Chitnis are some names I remember. Naren Bedide is a known name who translates Telugu Dalit poetry. These days more works are getting translated into English. So there are more new poets but who is or will be famous only time will tell. I think with the rise in self publishing a lot many people are able to publish their poetry books. There has been a rise in aspiring new poets on the poetry scene now. In n India there are many publishing houses that publish poetry. Lot of poetry festivals, poetry groups and poetry societies have come up which hold readings etc on a regular basis. My book was published from England so I am not aware of the challenges faced here. I did not approach any publishing house here but there are many who opt for poetry publication and do good promotional marketing too. I have noticed a few poetry prizes too here in India and that surely encourages poetry writing.